People long for a world without war, but expect it can come only when others sort out their problems or when external circumstances change. I’m reminded of a relevant biblical story. Responding to the Pharisees, Jesus Christ said in Luke 17:20-21, “The kingdom of God does not come with observation; nor will they say, ‘See here!’ or ‘See there!’ For indeed, the Kingdom of God is within you.” Thus, Jesus challenged them to first seek the Kingdom of God, in other words, to seek peace within themselves. It is impossible to build lasting peace without looking deep inside ourselves. As Mahatma Gandhi said, “Be the change you want to see in the world.” If we want peace in the world we have to start by becoming peaceful ourselves. We have to learn to resolve issues with non-violent methods such as dialogue, persuasion and negotiation. Today, many radical Muslims justify their deeds through jihad. They believe the only way to make this world a peaceful one is by violently destroying those who do not believe in what they believe. The popular conception of jihad held today equates jihad with terrorism. There are, however, two kinds of jihad in Islam, and neither can be construed as terrorism. The Arabic word jihad means “struggle” or “striving,” which can be interpreted as the struggle to be a better person. Unfortunately, for decades, and especially after the terrorist attacks of September 11, 2001, many Westerners perceive jihad as a call for Muslims to fight non-Muslims. First, jihad speaks to the universal mission of individual Muslims as well as the Islamic community. This is the spiritual interpretation of jihad, in which itis understood to be the Muslim’s lifelong process of constantly fighting against the evil nature of his soul. This is the greater jihad, or the jihad kabir, which never ceases, according to Islam. It is a constant struggle. The political interpretation of jihad is the second, smaller jihad, or jihad sagir, consisting of military means to defend oneself and the oppressed. This use of military force is understood to be temporary, initiated by specific causes, and able to cease at any time, for instance, when either victory or negotiations ensue. Political jihad is legitimately carried out only through the state and not by non-state agents. Whether jihad is the smaller or greater, it is always associated with the universal mission of Islam, which is to establish a society based on unity, equity and peace for humankind. This is why in verse 2:193 of the Quran it is written: “fight them until there is no persecution.” This statement means Muslims should fight only when they are oppressed and persecuted. As soon as persecution ceases, Muslims do not need to fight anymore. Moreover, Muhammad only began to fight back after he was persecuted and his life was in danger. Another Quranic verse, 4:75, states, “and why should ye not fight in the cause of Allah and of those who, being weak, are ill-treated and oppressed?” Here the Quran encourages Muslims to fight against the abuse of human rights as well as social disturbances and terrorism. Through this verse, it can be asserted that the practice of jihad is actually opposed to international terrorism, because jihad is opposed to all activities that create social insecurity and risk. A murderer can be caught and punished by law but his crime and punishment affects the stability and order of the whole society. When there is chaos, however, there is no more law and there can be no control — chaos leads to the destruction of all society. This is why Islam advocates that the stability of society is very important and valuable. There are many non-state Islamic groups, such as al-Qaeda, that use violence in the name of jihad. Both traditional and modern Islamic scholars agree that such violence and terrorist activities by non-state actors are illegitimate and fall under the categories of fasad and fitnah. Nevertheless, it’s to be expected that terrorists will use Quranic verses to justify their actions. For instance, it is written in the Quran, verse 2:191, “Kill them wherever you catch them…” Islamic extremists have interpreted this verse to justify their actions but ignored the context in which this statement was given. This verse was intended strictly in the context of self-defense. Historically, Muhammad was compelled to defend the territory of Medina, the first Muslim state, against aggressors. The statement should not be used out of its historical context to justify attack or take revenge. Similarly, terrorists accuse America of spreading immorality through the dissemination of American culture. They call it a “cultural attack” on the Muslim world and are determined to fight against America through terrorism in order to defend Islamic culture from being perverted. It is true, Muslims must “fight” to protect their lives, property and the freedoms of their people, especially the freedom to worship Allah when that freedom is forcibly attacked. However, Muslims are not permitted to attack innocent people in the name of jihad. Any Muslim who goes against this principle and murders civilians is fighting against Islam and the fundamental values of peace which Islam stands for. Unfortunately, the use of violence can never bring true peace to the winner of the conflict, regardless of the original cause. What happens when we obtain peace through war? The winner celebrates his victory for a period of time and the loser prepares to take revenge when the opportunity arises. The result is that both parties in the conflict will engage in an interminable, vicious battle. There is a famous saying about this dynamic of violence: “Whoever wants peace must prepare for war.” The absence of war is not necessarily peace. A moment of calm does not mean there is genuine peace and security. Peace for a limited time is not true peace either. How then do we obtain true peace? 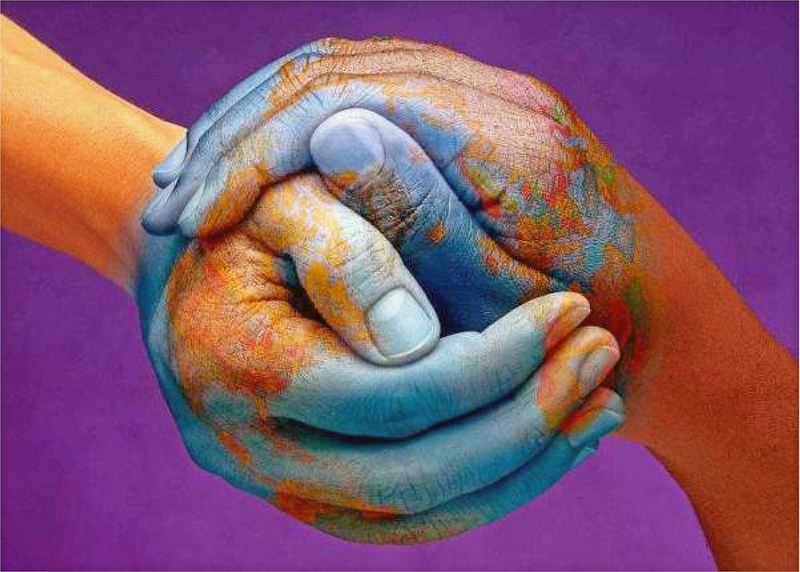 How do we live together in peace and harmony, respecting our differences and resolving conflict in a non-violent way? In modern times, people like Gandhi, Dr. Martin Luther King, Jr., Nelson Mandela, and Rev. Sun Myung Moon were unwavering practitioners of nonviolence, determined to pursue peace through dialogue, forgiveness and unity. Why is it so difficult for us to follow their example? It is because their approach to peace and conflict resolution requires that we, ourselves, internalize peace first; it requires a stable spiritual, emotional and mental state; it requires an internal sense of security; and it requires an understanding of who we are regardless of race, culture, ethnicity, and ideology. In short, this approach to peace fosters our sense of universal identity, without necessarily denying or rejecting our unique and relative identities. First we compare, thinking the person or group we are dealing with is socially, financially or spiritually inferior so we can treat him or them as we want. When we experience some resistance from their side, we enter into some kind of competition, thinking we must have the last word no matter what. When resistance persists, we enter into an open conflict by fighting, hurting and destroying, and to justify our deeds we conspire with some who side with us so we can normalize the use of violence. Our allies give us the strength to condemn our enemies and we believe they deserve to be punished. Next, we cancel out contrary evidence by denying any facts that could be in favor of the enemy, and finally we crucify the enemy with impunity because we strongly believe the enemy deserves death. This pattern is constant in personal and group relationships and even on the larger national and cultural level. For example, some radical believers may compare and assess their faith as better than others, and so their ministry becomes about competition instead of collaboration with other faith traditions. Then, when there is an issue, they may enter into open conflict by attacking, judging, blaming, and labeling others as evil or satanic. They may also seek allies with whom to conspire, so they can justify as normal what they say about others. They may join their allies to condemn and cancel out contrary evidence that could support the good points of other faiths. Then they justify war against others, call it “holy war,” and believe those not like themselves deserve the equivalent of crucifixion. In fact, this approach is also the pattern of Muslim terrorists who believe the West is their enemy and jihad the only way to deal with the Western world. 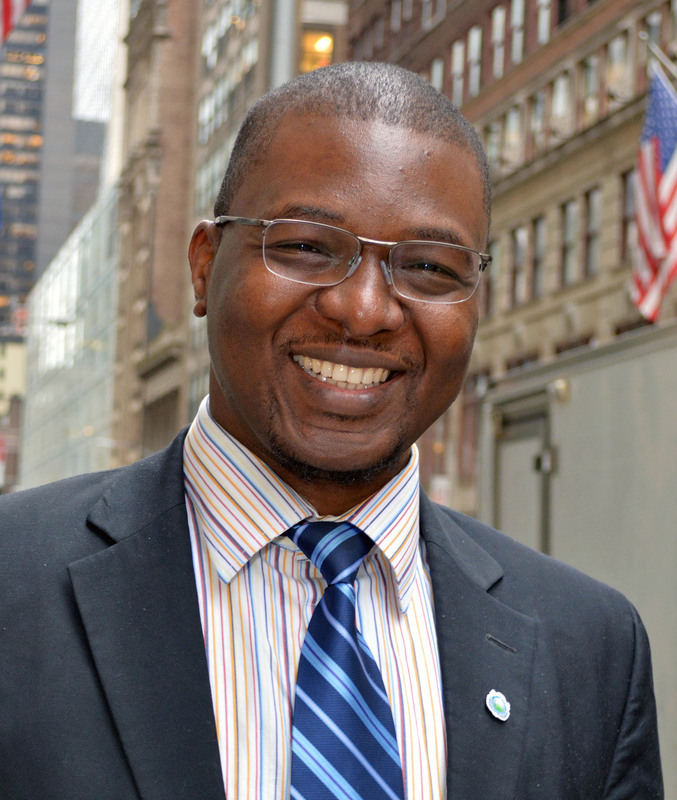 Dr. Drissa Kone is Director of Student Life and Assistant Professor of Pastoral Ministry at UTS. He is also the minister of the Belvedere Family Community in Tarrytown, NY. Rev. Kone was born and raised Muslim in the Ivory Coast and joined the Unification Movement in 2003. He earned his M.Div. in spiritual counseling from UTS in 2012, and his M.A. in diplomacy, specializing in conflict management and negotiation, from Norwich University in 2014. He obtained his D.Min. in peace and justice from UTS in 2016, focusing on transformational leadership and the effective management of cross-cultural conflict between communities. ← Where Does Unificationism Stand on Birth Control? When dealing with individuals and groups that seek “stealth jihad,” an internally planned acculturation to supplant American Christianity and Constitution, as well as more violent incendiary charges and actions, it is best to call them out, with rational critique and argumentation; judgment, too, when that is in order. Carl Rogers’ reflective listening technique and the positive regard and/or tolerance of interfaith dialogue may not deal with changing these destructive elements. It often allows for these individuals and groups to maintain their destructive ways, and even appears to condone them by denying that these actions are the serious problems to deal with and acquiescing to being non-confrontational or obscurantist in response. Your explanation of jihad is a good summary of how I also learned it. And thanks for explaining fasad and fitnah. If these explanations were more widely understood and transmitted throughout culture we would not have Muslim youth justifying the murder of innocents using the rationale of jihad and falsely believing that Allah will reward them for their crimes. We would also not have Westerners stereotyping jihad as evil in reaction to such crimes. Albert Einstein once remarked that like darkness is the absence of light, evil exists because of the absence of good. We will not create goodness in the world by responding to evil with evil. You do not kill your son if he pushes down his little brother, but the goal of a True Parent is to help the son grow to goodness and learn how to control evil impulses and frustration, learning the principles taught by Jesus, Gandhi, Martin Luther King, and Sun Myung Moon. Dr. Kone addresses the issues of comparing, competition, conspiring, conflict, crucify, et. al. Certainly there were inspiring individuals who advocated for non-violent solutions to attain peace, but without a deeper understanding of the dynamic of love we easily get lost. When love is absent we turn to justice. When justice fails we turn to power. When power fails we turn to war. It’s a downward spiral. From this understanding we see that “comparison mind” can poison our hearts and lead to resentment, rage, rebellion, revolution, retribution and retaliation if we don’t fully understand jealousy from the principled viewpoint. Surely, peace “isn’t merely the absence of war” as Baruch Spinoza noted, but jealousy that isn’t mitigated by truth and principled love might be at the dark heart of radical Islam — or any ideology that trades resentment and seeks retribution. Just as there are many Christian denominations, there are many Muslin sects that differ on points of theology — some being more fundamentalist than others. Qutb wrote his book just a few years after the Western allies defeated the global threats of Nazi Germany and Imperial Japan, and then assisted in the rebuilding of those nations. Therefore his assessment that the Christian West was somehow sensing that it was unable to present any healthy values seems extremely myopic. The USA actually expressed love for the enemy and “living for the sake of others” in its efforts to revitalize those nations and its Judeo-Christian patrimony likely had something to do about that. Those individuals who made the ultimate sacrifice for freedom and liberty surely did so in order that Muslims would be free to practice their faith along with others of differing faiths in a pluralistic society. That would seem to be a very Christian and principled thing to do. Muhammad led a large number of campaigns in which people were killed. To my knowledge, persons were forced to submit to Islam or be killed in the rapidly growing territory under Muhammad’s control. Those who argue that Muslims who pursue this type of jihad are being unfaithful to “true Islam” could be ignoring this aspect of the life of Muhammad himself. I welcome discussion and debate and put this forth humbly and sincerely. The truth has many angles so I will not debate about Muhammad being a bad or good person. I am open to dialogue which I believe could foster mutual understanding. Muhammad declared the end of lesser jihad which was only circumstantial and contextual. If you have ever experienced war or live in a war zone you will know it is almost impossible to 100% control certain immoral actions. Muhammad ended lesser jihad and encouraged greater jihad. He concluded that fighting the evil within is the ultimate source of peace for true Muslims. This is not an article to defend Muhammad, per se. Most Muslims recognize that Muhammad was a human being, not God. If he had made mistakes in his mission, it is clear those mistakes did not disqualify him as a messenger of God. The late journalist, author and avowed atheist Christopher Hitchens wrote the book God Is Not Great: How Religion Poisons Everything (2007). In it he asks: How can we expect the world’s religions to foster “peace,” while each one claims their particular version of truth is the only way for peace (heaven) to be achieved? He goes on: Such claims inevitably lead to violence and division, and not to peace and harmony. Something to ponder, I think. I think what Dr. Kone has written is an important contribution to one of Rev. Moon’s fundamental goals: the unification of religions. Like many Christians, Rev. 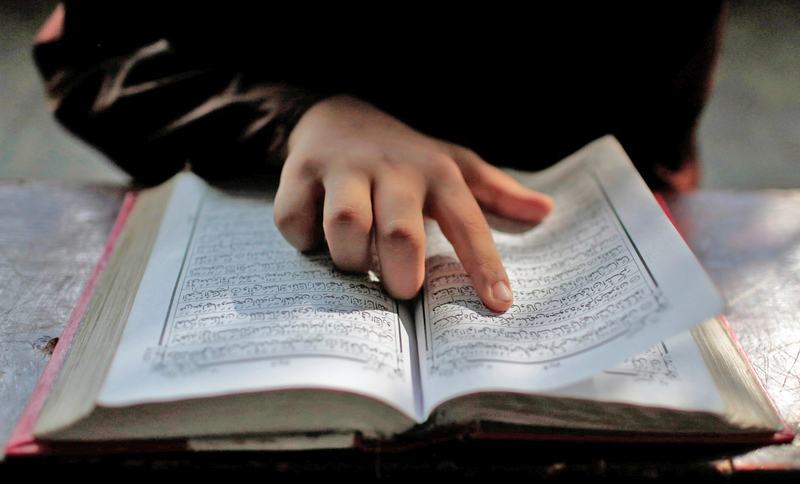 Moon started out with a negative assessment of Islam, speaking of the religion as holding a sword in one hand and the scriptures in the other. Nevertheless, in 1990 he brought important Islamic leaders, including the grand muftis of Syria and Yemen — each with 40 of their followers — to New York to attend 40-day seminars on the Divine Principle. They responded positively, and Muslims began attending the Blessing. Clearly there are godly elements in Islam, despite the media reports of Islamic violence born of deeply-embedded prejudices and reinforced by the words of dead clerics who viewed the West with disdain. Yet Rev. Moon saw Islam as a good religion that was capable of responding to God’s love and truth. He set an example of fearless outreach, embracing Muslims with God’s unconditional love and forgiveness for whatever they had done in the past. Rev. Moon did not let the outbreaks of terrorism deter him. Immediately after 9/11 he spent three days in prayer, and then declared that America should follow the example of Jesus on the cross. America did not do that, but instead chose to attack Islam as the enemy, an attitude that persists to this day. It’s another example of the gap between conventional American attitudes and the heart of our Founder. It is true that Muslims have to deal with resentment over Western colonialism. Yet if we in the West approach them with love, they are surely capable of overcoming it. On the other hand, if we stand on the tradition of Christian condemnation, we only harden their resentment. Ultimately, it is up to us, Unificationists in the Christian West, to decide whether we will approach Muslims with an open hand or a closed fist. If we take the Abel position and love them, they will fulfill the indemnity condition to overcome their fallen nature and become partners in building peace. The motto of UTS is “bridging religious and cultural divides.” It is our mission to uphold Rev. Moon’s interfaith ideal by opening our doors to people of all faiths, including Muslims. It is also in keeping with America’s mission to be the center of outreach to the world, especially as the work in Africa has taken on a new prominence. As an African from a Muslim background, Dr. Kone is well positioned as a member of the UTS faculty to advance this work. I hope he will continue to write about building bridges to Islam, tackling the various specific issues that divide our communities. I really enjoyed the article posted by Dr. Kone and especially his prelude where he quotes Luke 17:20-21 and then Gandhi. We have to see the Kingdom within us and be the change that we see in the world. I believe that the True Parents, after the end of the Cold War, wanted to elevate the Western mind from the Abel position to a more parental heart, as a preparation for kingship. In the 1990s, our movement had a golden opportunity to break through in tribal messiahship and national messiahship. We tried our best, but probably not enough. The very year when True Parents proclaimed the Coronation of the Kingship of God (2001), the terrorist attack on the Twin Towers came as a shock to all humankind. We all remember what Father’s reaction was at that time. He really showed the heart to embrace Muslims. In 2003, right after the beginning of the war in Iraq, True Parents launched MEPI, starting with a very unusual ceremony, i.e., he asked Christians to bury the cross in Jerusalem. We all remember the meaning of this. He also asked the three religions to crown Moses, Jesus and Muhammad in Jerusalem. These gestures come from God, not from men. And they illustrate Luke 17 and Gandhi’s words at the highest possible level. Most of the time, the anger is on Cain’s side. This anger is wrong. True Parents expected that, after the end of WW II, we arrive at a world where we don’t learn anger anymore. I see a potential danger in Abel being too angry. Of course, the anger is sometimes very strong in our hearts, and even in God’s heart. But just like God warned Cain not to be dominated by anger, I feel that God wants to tell Abel-type people to go higher into the practice of the parental heart. We need to be absolutely upset and indignant when we see senseless killings, wherever they take place. But then, we have to find the right heart. God is more angry than us and our anger can never match His divine wrath. But, in the present circumstances, we shall not serve God by being angry. The Sunhak Peace Prize last time was given to a woman who managed to educate angry refugees. She challenged her patriarchal culture and showed them how good it is if their daughters are educated. They will become better Muslims. The other winner of the prize was a communist Italian activist who has saved so many people through surgery. He is not really “the cup of tea” of average Unificationists. What surprised me was to see that Dr. Strada is not at all an angry man. He has seen injustice after injustice, senseless killing after stupid atrocity. This has made him more and more human. He smiles little, there is gravity in his voice and eyes. He is not a very easy person to deal with. What motivates him is not anger or righteousness. It is a very sad heart. He has cried many times over the suffering of children. Tears are rare among men, but he did cry and kept working hard. These two figures show us that in the Cain world, there are people who are more peaceful and loving and caring than many people in the Abel world. Beginning this year, True Mother went to Senegal and taught the Will of God to a Muslim president. He listened to her. Mother prayed to liberate the angry souls in Gorée. We may have some very good reasons to feel angry at some aspects of the Muslim world. But I feel that Dr. Kone is calling us to understand it better so that we may think of turning our anger or perplexity into something divine. He raises the bar high, calling upon Luke 17 and Gandhi. Actually, it is way too high for me. But still, his article deeply resonates within me. Let us try not to be angry. My compliments, Dr. Kone, for your explanation. Unfortunately, for me, it is theoretical and disconnected from reality. Disconnected perhaps not from the American reality – at least for now – but totally out of this world for those who live in Europe (I am writing from Italy). In many places in Europe, the situation is already out of control. The number of rapes, homicides, thefts, and other crimes is rampant. There are areas in some cities where the local police can’t enter, and where the de facto law that applies is sharia. What you wrote in your article is partly right, in the dimension of the ideal. But in the dimension of reality, what should we do? Here in Italy some families hosted immigrants, just out of the unconditional love that Catholics feel they should express to those in need. The result, in some cases, has been that the immigrant disappeared, together with the money and jewels they could find in the home that had hosted them. You cite Gandhi and his non-violent approach. Right, but he had to deal with a Western (!) and strongly Christian and highly-developed country that morally could not respond with violence to non-violence. And in the few cases in which their army did it, the home public opinion was shocked and the Empire had to stop that behavior. But tell me, did Gandhi succeed in dealing with the Muslim minority in India? The problem is that Europe has abandoned its Christian spiritual heritage, and does not have any more the spiritual power to oppose Islam, as it did a few times in history, not to oppress Islam, but to survive! And only after having assured our survival can we talk about embracing them with love. As America did with Italy and Germany after the Second World War. Am I wrong? I hope so. Thank you for understanding these realities. In our founder’s own words, he said: “[W]e understand that a united European realm and a united North and South American realm will arise within Christian civilization….The Christian cultural sphere of the West is the only thing that can unite all of these, and it is crossing over to Asia….God has been trying to harmonize everything in this world based on the Christian thought system…. (SMM, Chambumo Gyeong, 1974: 952).” Given the present realities you mention in Europe, our founder’s more recent call for a Great Awakening applies to the world, not just America. Views that condone leaving out Christianity, and promote a relativistic multicultural reality, will further the invasion of radical Islam, totalitarian oppression of freedoms, and invite rampant violence of all sorts. I think I understand your points, Antonio and Donna, but what are your recommendations for our pastoral work, and our educational materials? True Mother says that she chose Senegal for the Africa Summit meeting of January 2018, among other things, because it is a predominantly Muslim country. What is your reaction? In our main church in Seoul, there are four statues of the great saints, including one representing Muhammad (without face). World Scripture has many quotes from the Quran or the Hadith. Do you feel that there are too many? We have so many Ambassadors for Peace worldwide who are Muslim. Many Muslim dignitaries (imams, theologians, scholars) speak at our conferences. What is your reaction? Some members feel that Islam is the main threat to world peace now and that our movement should say it loud and clear, creating CAUSA-type material, including an analysis, critique and counterproposal. Would you go in this direction? I have thought about it myself as a theoretical possibility, but I could also see the danger of going this way. Or do you just want to warn us about not being too naive? I sincerely hope you can elaborate a bit more on these various issues. What are your recommendations in terms of courage, wisdom and prudence, often quoted among cardinal virtues? What would you expect from the authorities of the Muslim world? Suppose we would like them to denounce quite strongly the use of the Quran to justify violence (some have already done so) would you ask for even more than this? In one of our conferences this year, a very conservative French Muslim took the floor to praise the social doctrine of the Catholic Church, which he saw as a model. People were quite shocked and stunned, and wondered if he was sincere. One reason is he knew the social doctrine of the Catholic Church very well. Would you like more Muslims to go this way, to show that they really understand and appreciate and value other religions? How far should they go? And what would be our own responsibility to help them go this way? Some are calling for a reformation of Islam; do you think it is possible? I have created a PowerPoint presentation about radicalization in general and especially the case of Muslims. I am very aware of some serious issues and think you are right to express your concerns. In this PowerPoint, I use IEF methodology and present many aspects of radicalization as mimmicking in a most evil way the three Blessings. And I agree that quite many verses of the Quran can fuel the anger of young and even not-so-young radicals. On the other hand, as long as we identify ourselves as a religious movement so involved and recognized for its interreligious expertise (World Scripture is so often quoted now), we should have a clear theological approach. I am not a specialist, and I would be happy to hear your recommendations. You are raising many points, but I’ll just answer a few. As Pres. Teddy Roosevelt said, “Speak softly and carry a big stick”. We, as a Movement, are speaking softly (UPF, etc. ), but we do not carry a big (ideological) stick. Father did: just remember CAUSA, VOC, etc. Since the ’60s, ’70s, ’80s, Father said that at the decline of communism, Islam would have allied with it to fight Christianity. This, to me, is what is happening, so citing CAUSA and VOC is not just a parallel. It is absolutely the same thing. The absence of the big stick is evident also from the political point of view: European politicians tend to allow Muslims to do what they want, believing this will maintain peace. It won’t, because they see this behavior for what it is: a sign of weakness. About Mother in Senegal: I am sure she will speak softly. But will she carry a big stick? Thank you, Antonio. If you were to give one example of a “big stick attitude” of True Father toward Islam in the ’90s or 2000s, which one would stand out the most? At the moment, I don’t have examples of what you are asking for. What I meant is that we have to stand clearly on the side of Godism, doing what we did only partially: collaborating with Christianity in affirming its values, most of which are also ours, and stopping an invasion based on completely different values in reality. If you read The Way of Unification published in 1997, you’ll find a section of TF’s quotes about Islam and Communism. What I meant about CAUSA is that it had both the teaching and the action: rallies, contacting high-level people, and explaining the danger of communism and drafting programs together against it, allying with political forces to oppose communism, etc. CAUSA had a strategy to realize concretely its ideals. All this is not being done now. We are centered on two main activities: teaching the DP and blessings. Both of them must be done, of course, but the other half of our job I think is missing. That’s why I joined a very small political party in Italy that is working at the political level to defend the family. I am actively working with it. They stand on the values of the Catholic Church. A last point: It was True Father who had asked us to establish the “Family Party,” isn’t it? It seems that at the end someone heard that speech. Good questions. For the American situation, Dr. Zuhdi Jasser is an American Muslim who founded the AIFD, American Islamic Forum for Democracy. He provides a lot of advice and wrote a definitive book, A Battle for the Soul of Islam: An American Muslim Patriot’s Fight to Save His Faith. Those aligning with his organization pledge to obey the U.S. Constitution and rule of law. They denounce the violent and oppressive aspects of radical Islam and sharia doctrine. AIFD values respecting peoples of different faiths, especially the Judeo-Christian heritage and American Constitution that so far has protected freedoms like no other country. Antonio’s point about Christians in Europe having lost their faith conviction is a salient point. In his arresting book, While Europe Slept: How Radical Islam is Destroying the West From Within, American journalist Bruce Bawer (who has lived in Europe since 1999) cites the perpetual acquiescing by politicians, academics and members of the media in Europe to the demands by Muslims for complete and total respect for all things Islamic, often at the expense of free speech and intellectual integrity. Dr. Wilson writes: “Clearly there are godly elements in Islam, despite the media reports of Islamic violence born of deeply-embedded prejudices and reinforced by the words of dead clerics who viewed the West with disdain.” I must ask: Is such violence merely a fictitious narrative being speciously spewed by the Western media? If we are to engage in an open discussion regarding these issues, there must be an honest — if painful — assessment of why Antonio and others in Europe have serious concerns about the disturbing violence gripping places like Italy, the UK, Belgium, and Sweden. The Western media isn’t fabricating these stories out of some sort of religious prejudices. The Mullahs in Iran who regularly condemn the United States and the West — and fund terrorism — are not dead clerics. DP is very clear about Christianity being the foundational religious sphere out of which the solutions for salvation, restoration and unity can emerge. David makes some good points about the European scene. Nevertheless I take issue with a few of them. Second a rejoinder to my comment about godly elements in Islam: It is sad to see how the current preoccupation with violence has led us to forget the efforts of the Unification movement in the 1990s to make common cause with Islam on issues, notably family values. When IIFWP/UPF and WFWP were working in the UN to counteract some of the radical feminist and anti-family agendas then being promoted by many liberal NGOs, it was the Muslims who were among our best allies, because they most strenuously opposed them. I still recall Peter Kreeft’s book Ecumenical Jihad, in which he, as a conservative Roman Catholic, called for Catholics and Muslims to join together in the fight against the radical left that was promoting ideologies corrosive to the family. Islam, despite evident flaws like polygamy, is on the whole very supportive of traditional family values. There was common ground there that we were working to solidify. It is unfortunate that a small group of terrorists pulled off the 9/11 attacks and thereby set the world on a trajectory which stopped what was a promising interfaith initiative. Those Muslims who are motivated by hatred of the West are, in my view, heavily influenced by the spirit of communism. It is communist-inspired resentment of the West that led to the Iranian revolution and to al-Qaeda. Yet most Muslims hate communism, and we can and should encourage those elements within Islam who are trying to purify their faith of its influence. Those Muslim immigrants who have adjusted to Europe and have come to value some of its democratic and Enlightenment-inspired elements can help with the intra-Muslim discussion. So can Muslims in the United States, and especially Muslims who know the Principle. Rather than brand Islam by its lower impulses, or adopting prejudicial Christian narratives about Islam, I believe Unificationists should be encouraging Islamic reform from within. That is what True Father was doing in the 1990s before the setback of 9/11. If we let that setback continue to color our vision to prevent progress towards reform, then the terrorists will have won. In response to Dr. Wilson, I have stated on occasion, as have other Unificationists, that yes, Islam needs to reform from within. But Islam, like Christianity, has many sects with differing views, some more extreme than others. It should be obvious that criticizing Islam for its “lower impulses” is not an across-the-board condemnation of all of Islam. Making that distinction is important. We often evoke the Esau-Jacob story as defined in Divine Principle as the paradigm for solving intractable conflicts between brothers. That’s a decidedly Judeo-Christian narrative that may, or may not be, “prejudicial.” But if we — Unificationists — are hoping to be the facilitators of education for those moderate Muslims who are willing to be open to DP as a vehicle for actually making a difference in the sectarian divide within Islam, then advocating certain narratives that are rooted in Christianity seemingly cannot be avoided. Many of those same narratives are the basis of Divine Principle. I hear some contradictory statements in your response to David. Secularism, while being “the great leveler,” is godlessness. As we saw in the French Revolution, liberte, equalite, fraternite are not what they seem. Without God, they lose their meaning in that the application becomes relativistic and makes society vulnerable to whatever the more powerful will impose on others. Liberte from the bourgeousie, equalitie toward common distribution and no distinctions, and fraternite that exists in a common suffering and oppression are the result of godlessness in the French Revolution and also in communism. These results do not seem to be a solution to “religious jihadism.” Furthermore, it is secularism that can destroy faith foundations for any faith practice. Ali Majoub writes in Honor Thy God that he felt disillusioned by the immoral lifestyle of many Muslim men who engaged in drinking, smoking, drug usage, and promiscuity. While I understand the missionary quest, and thank God for the noble sacrificial giving of our missionaries who strive to understand the cultures of their countries, each country and community is unique. We can’t necessarily generalize about the Muslim community as all being the same in practice and cultural context. What are the differences in marriage practices for these unique countries? Are there some communities that do not follow polygamous arrangements and are monogamous? To say “Islam, despite evident flaws like polygamy, is on the whole very supportive of traditional family values” is a contradiction in terms and realities. While Muslims may not believe in homosexuality, the realities of “four wives” allowed in the Koran does not make families that are “pure” and emphasizing “fidelity” as stated by our missionary author. It is a known reality that women in these polygamous marriages suffer from neglect, backbiting, sexual exploitation, and oppressive acquiescence to this unfaithful arrangement that deviates from monogamy. Children grow up with a confusion about their mothers. Also, why the Christian cultural context has the potential to unite the religions, as our Founder knew and proclaimed, is not addressed in your response. Then, the unity of Islam, Judaism and Christianity, according to our founder, should restore their religious conflicts and “As they diverged from a single root, this one root must gather them together again and sort them out before God into their unfallen original positions (Chambumo Gyeong, “The Era of the Pacific Rim Civilization and the Korean Peninsula,” 962).” Therefore, true unity, fraternitie, equalitie and libertie — will not come through secularism, but in Godism. To be clear, I agree with you Godism is the best way to unite religions. French secularism doesn’t do that; it attempts to create peace regardless of religion. My objection was to the Christian author who regarded the Europeans (e.g., the French) as having their heads in the sand, just because the approach they take is not his preferred Christian focus. Secularism is not ideal, yet it has had success in tamping down religiously motivated violence in many nations, France included. Given France’s culture and history (they are quite willing to bracket the excesses of the French Revolution as an aberration), it makes sense to them. However, Rev. Moon did not teach that the Christian cultural context could unite the religions; he understood Christianity in the conventional sense to be biased and prejudiced towards other religions as they were to him. He taught that Godism, Headwing, could unite the religions, and set up interfaith organizations such as IRFWP to pursue unification with religious leaders of every belief. Not only that, since Socrates is listed among the five great saints, it means that Hellenism, and secularism its offspring, is also part of the mix of human belief systems that need to be unified under Godism and Headwing. Even some secularist values are good. Rev. Moon understood well that Muslim unity, and reform, must come from within Islam, and hence in the 1990s he held conferences of Muslims to address the issues among them, including fanaticism, terrorism, and issues of the family. Christianity, which in the eyes of Islam is an inferior religion whose errors the Quran was revealed to correct, is not in a position to school Islam about matters of faith. I see a path for Muslims to unite with True Parents through the missionaries in those countries and their efforts to help them understand the Principle. There are now resources to explain the Principle using the Quran. It is something we should encourage.